Russia plans new missile systems within next 2 years to counter U.S.
Russia will race to develop two new land-based missile launch systems before 2021 to respond to Washington’s planned exit from a landmark nuclear arms control pact, the Kremlin says. Russia will race to develop two new land-based missile launch systems before 2021 to respond to Washington's planned exit from a landmark nuclear arms control pact, the Kremlin said Tuesday. 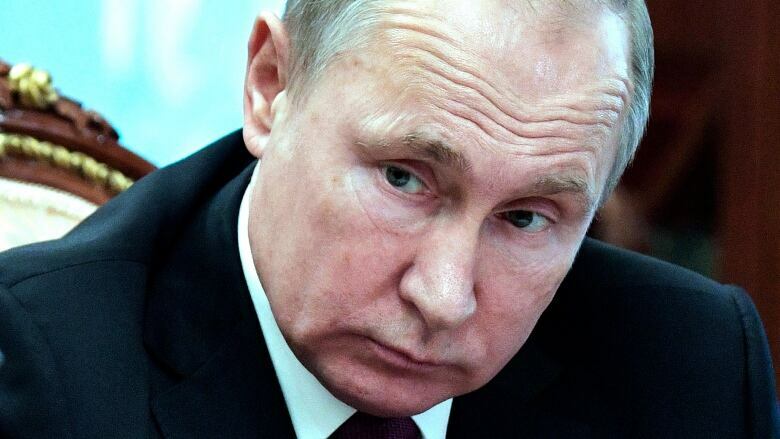 President Vladimir Putin said over the weekend that Russia had suspended the Cold War-era Intermediate-range Nuclear Forces Treaty (INF), which bans both countries from stationing short- and intermediate-range land-based missiles. "From Feb. 2, the United States suspended its obligations under the INF treaty," Shoigu told a meeting of defence chiefs. "At the same time they are actively working to create a land-based missile with a range of more than 500 kilometres which is outside the treaty's limits. President Putin has given the defence ministry the task of taking symmetrical measures." Moscow denies flouting the 1987 pact, which bans land-based cruise and ballistic missiles with a range of 500 to 5,500 kilometres. It says Washington is the one violating it and has accused the United States of inventing a false pretext to exit a treaty it wanted to leave anyway in order to develop new missiles. Washington denies that. U.S. disarmament ambassador Robert Wood told a UN-sponsored Conference on Disarmament in Geneva on Tuesday that the United States would reconsider its withdrawal from the INF treaty "should Russia return to full and verifiable compliance."